One of our winemaker Amanda’s favorite things to do is mix our wines with other things to create specialty holiday drinks. During the holiday season she likes to test out these different drinks on her friends and family and they happily oblige. Last year we tried a couple of new drinks with the Apple, Cranberry, and Finally Friday wines. The Wisconsin Brandy Old Fashioned has been soon popular we have kept that on our regular menu at the tasting room. All of these holiday drink recipes are easy to make and most of the ingredients are ones that you already have in your kitchen. This recipe is a holiday favorite at our Thanksgiving and Christmas celebrations. This year we forgot to bring the orange juice, and tried it with frozen raspberries and lemon juice instead. Guess what, it was still delicious! Looks like we might need to make another Cran-Rasberry Lemonade Spritzer! There is nothing like the aroma of mulled wine filling your house during the holidays! Put away the potpourri and warm up some Apple Wine with mulling spices to make your house smell like holiday bliss. 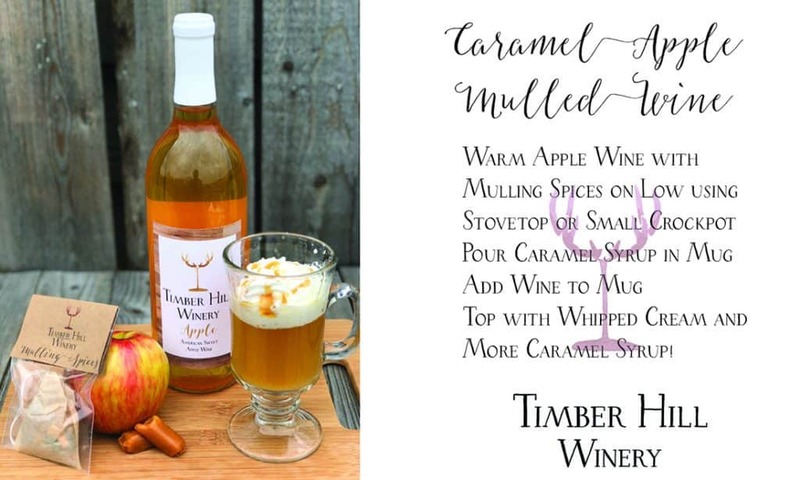 Make your guests all warm and cozy as they sip on a glass of Caramel Apple Mulled Wine as you catch up! This classic Wisconsin drink is one of our favorites to make, especially around the holidays. 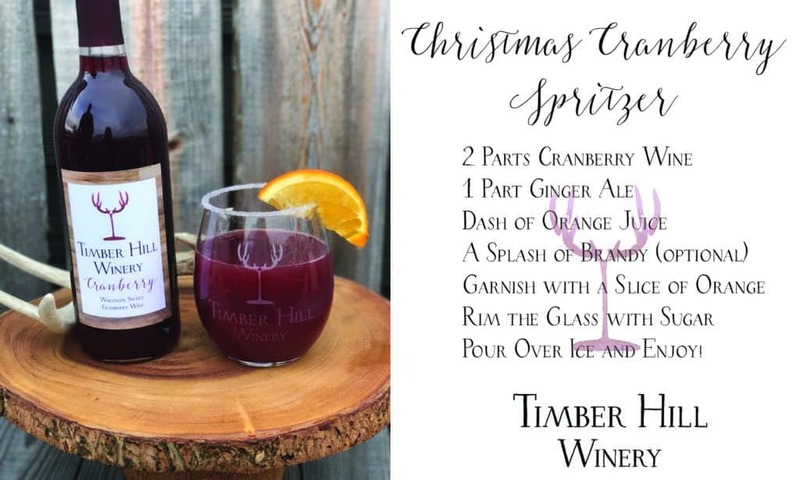 We love this special cocktail so much that it is on our menu at the winery and can be ordered any time you visit! If you have special guests coming over, our advice is to splurge and try Luxardo Maraschino Cherries. 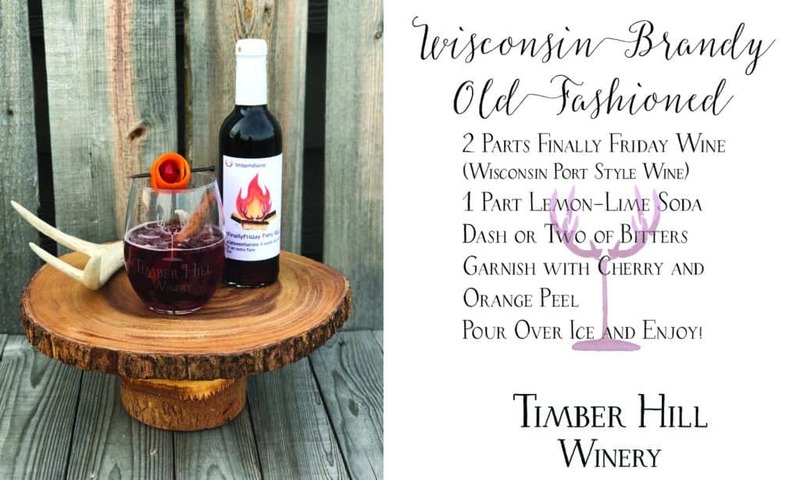 They really bring this holiday drink recipe and any Wisconsin Brandy Old Fashioned up a notch! The perfect holiday drink recipe for Christmas morning! 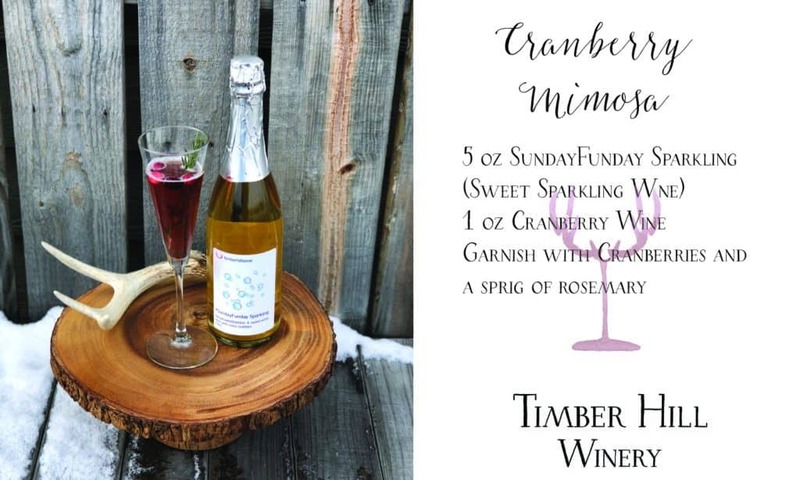 We love mixing wines with our #SundayFunday Sparkling Wine or making classic mimosas with a little OJ. This holiday specialty cocktail is super easy to make and sure to be a crowd pleaser. Check out our wine list to look for wines to pair well with your holiday drink recipes or visit our online shop to get some of the wines seen above shipped to your house before the holidays!